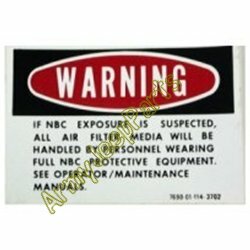 M151 NBC warning sticker. These are NOS 3m stickers for the underside of the hood. This label was technically only used on the A2's.